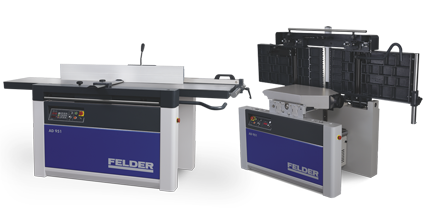 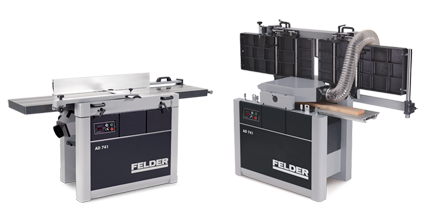 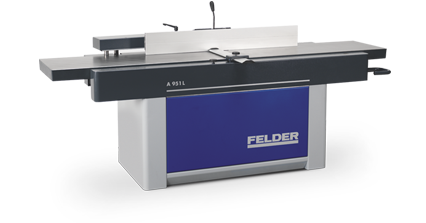 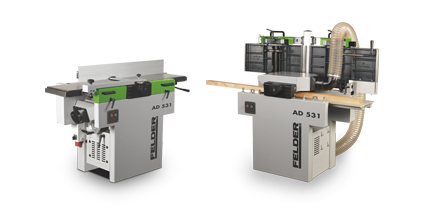 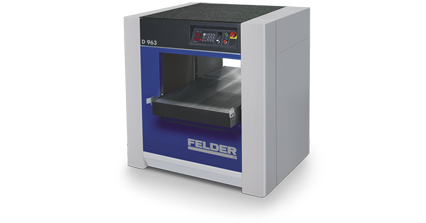 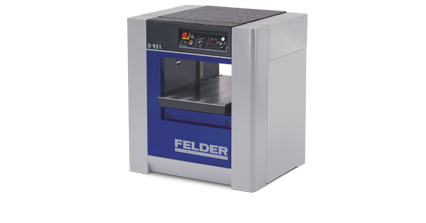 The patented Felder jointer table adjustment system, uses prism guidance for the highest level of adjustment precision. 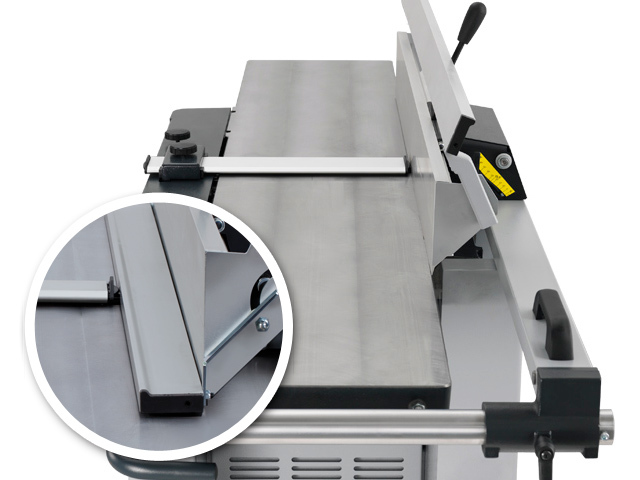 With the new ergonomically shaped depth of cut adjustment handle, you can adjust the depth of cut quickly and precisely. 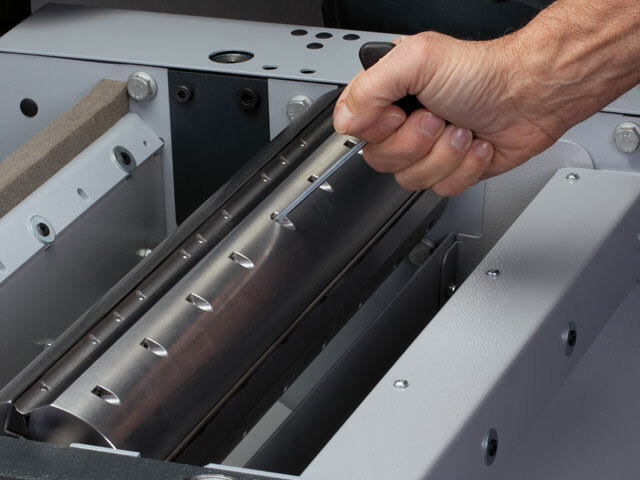 The depth of cut can be set to any depth up to ¼" (5 mm). 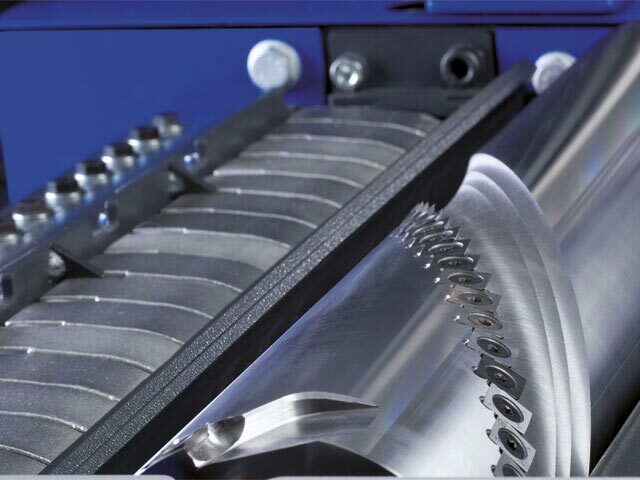 Using the integrated magnifying glass you can view the set depth and achieve exactly the desired results. 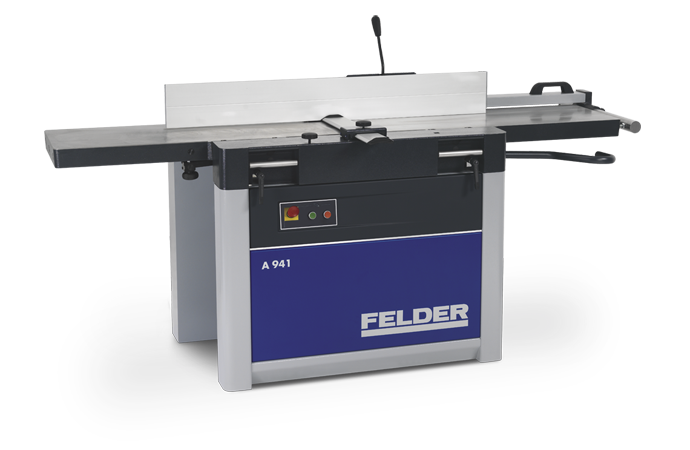 Felder’s jointer fence: A masterpiece of engineering providing stability, precision, and space saving! 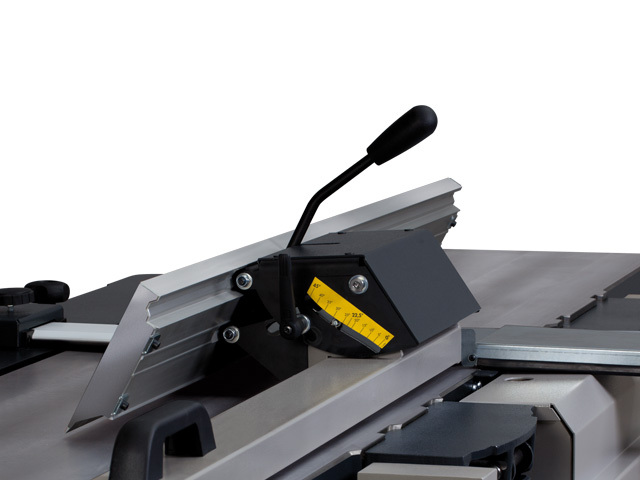 The jointer fence tilts from 90 to to 45 degrees. 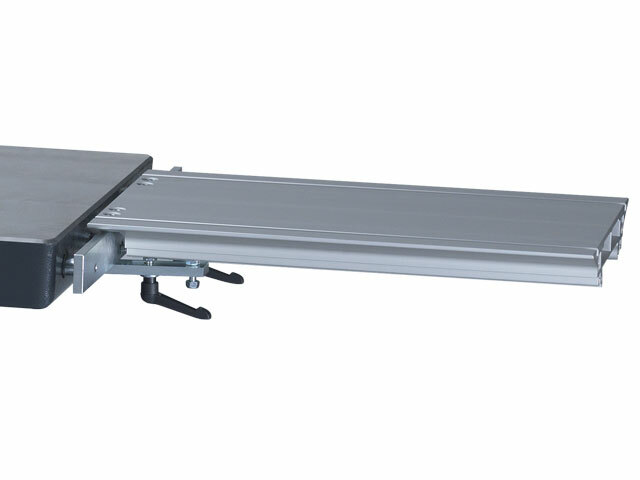 It can be positioned at any angle in between. 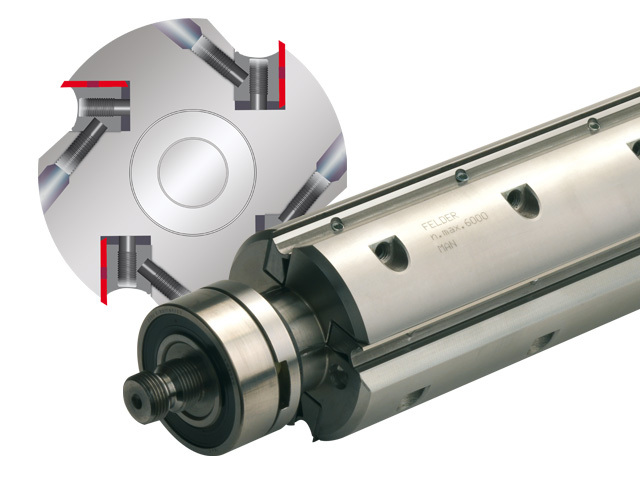 There is an end stop at both the 90° and 45° positions. 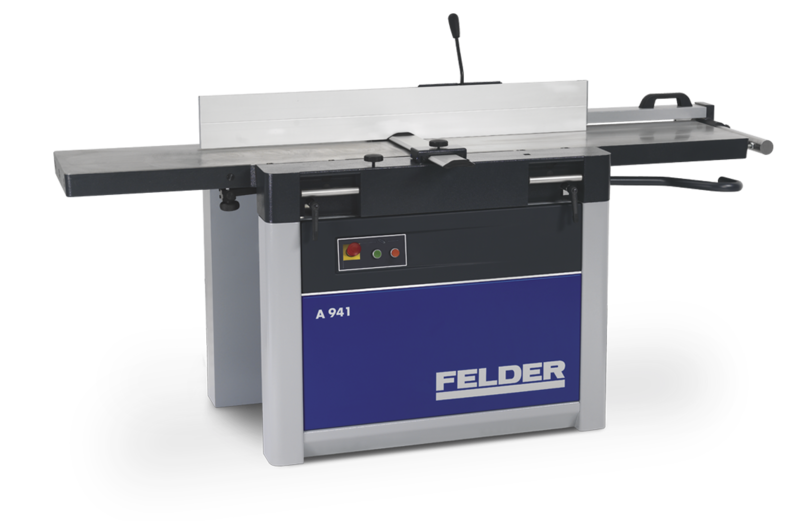 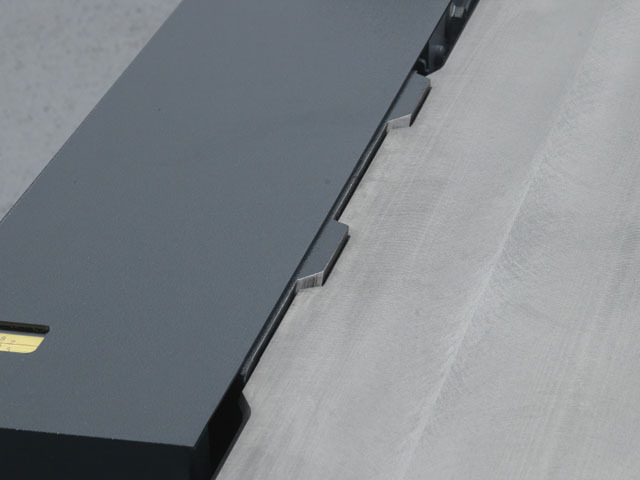 Maximum ease of use and operational safety – The space saving jointer guard integrated into the machine chassis stabilizes the workpiece when jointing and beveling. 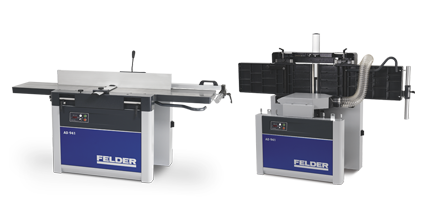 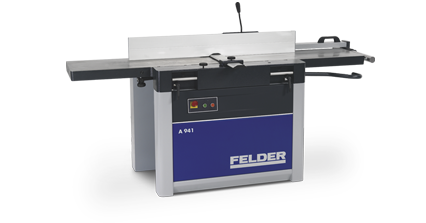 With the proven Felder table extension systems, you can extend your jointer table quickly and without tools.